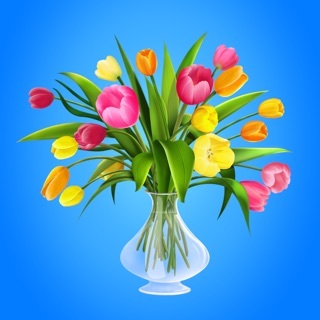 Sending fresh flowers has never been easier with Pocket Flowers. Get the most beautiful arrangements from expert local florists who will hand deliver your bouquet and provide you with the best customer service! We take pride in providing high quality flowers and fast, reliable flower delivery options for our customer. 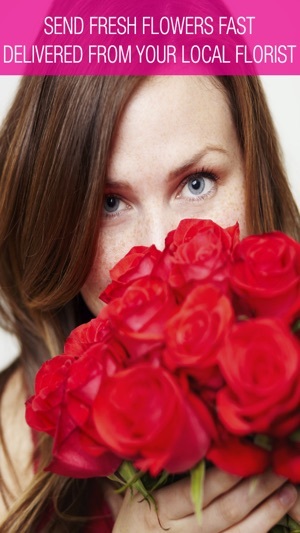 Need same-day flower delivery services? That's one of our specialties! Don’t have a friend’s address, not a problem. 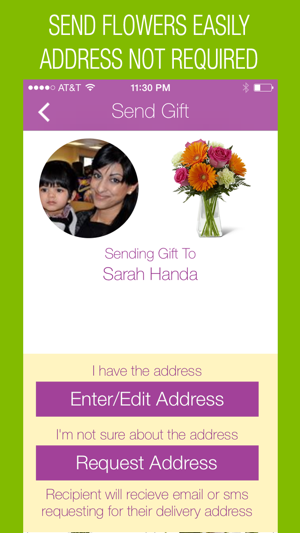 Send flowers just by entering in a friend’s email or phone number and Pocket Flowers will contact them to set up delivery. 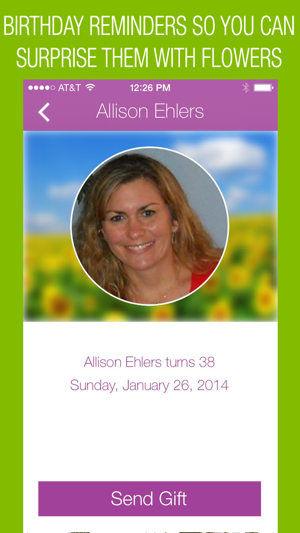 Connect with Facebook and Pocket Flowers will send you weekly birthday alerts for your friends. 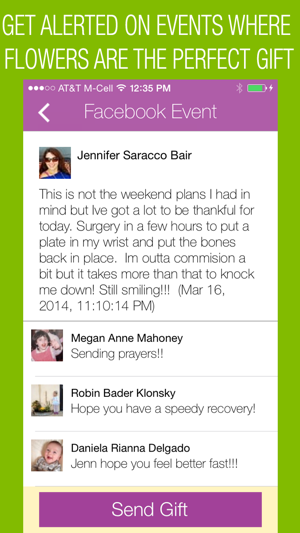 Pocket Flowers also scans your friend’s walls and lets you know when a friend is celebrating or might just be in need of a little pick-me-up! Flowers are the perfect gift for any occasion. With Pocket Flowers, you can get themed floral arrangements, including birthday bouquets, Mother's Day flowers, and Valentine's Day flowers. 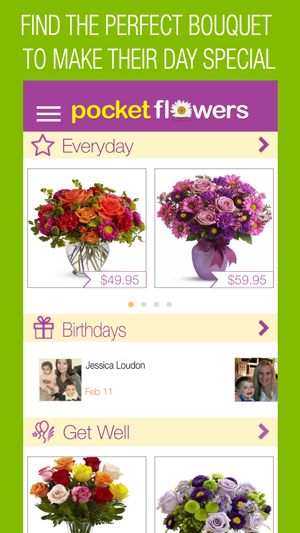 With Pocket Flowers, it's easy to send flowers and show how much you care about the recipient. Make Pocket Flowers your trusted vendor for local flower delivery. Our florists will help to create your arrangement at a local flower shop and will hand pick an assortment of freshly cut flowers. At Pocket Flowers, we want to guarantee our customers get the best flowers. 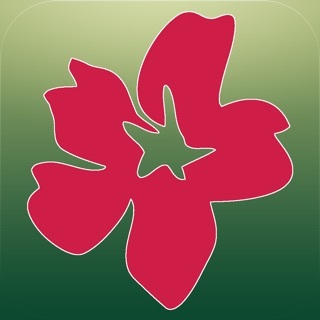 This is a great app where you can order flowers for any occasion from your cell phone with a quick click of a button! It's very easy to use and perfect to show your love for someone special. 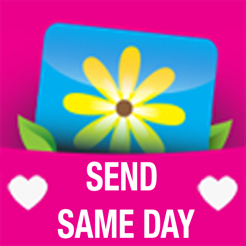 I love to send flowers and this app makes it super easy! I've sent flowers out and state and down the rd. I am very impressed with the quality and timing!!! Love this app! !